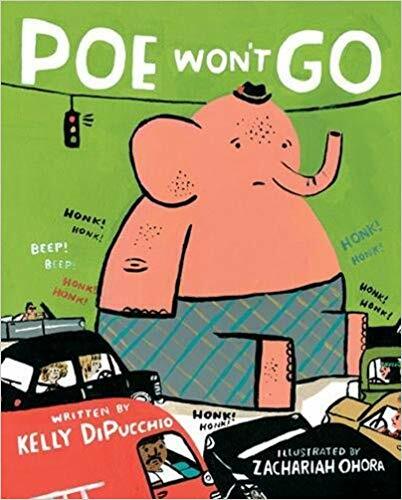 POE WON’T GO written by Kelly DiPucchiowith pictures by Zachariah Ohora, will consistently charm your children and delight adults through multiple re-reads. 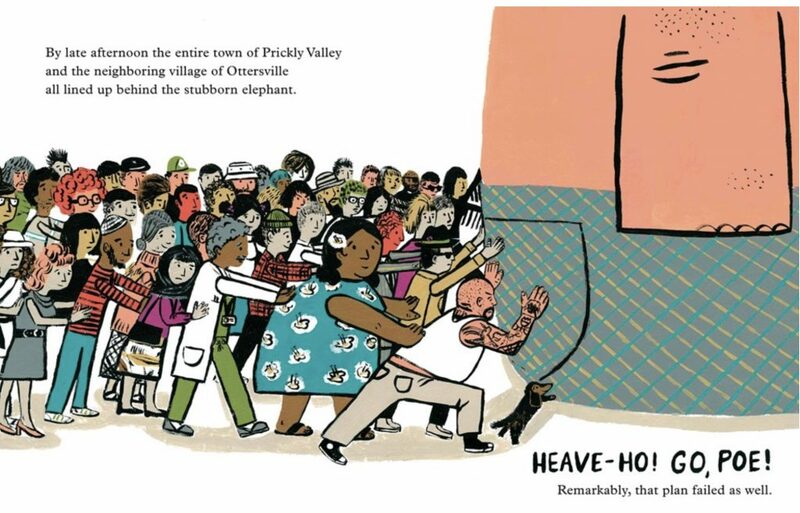 The artist behind WOLFIE THE BUNNY infuses this picture book with his clever and colorful style that often reminds me of the Corduroy books I read as a child. Interior illustration from Poe Won’t Go written by Kelly DiPucchio and illustrated by Zachariah OHora, Disney-Hyperion ©2018. When the Mayor gets involved things quickly escalate and our poor Poe sits miserably in the mess he has created just by existing. When Marigold, a young child who has taken an interest in Poe, speaks up, the Mayor is hesitant to listen. Backed up by a reporter covering the case, Marigold simply speaks to Poe and finds out what he is waiting for. The incredulous Mayor watches the young child and on-site reporter solve the dilemma and Poe happily goes on his way, reminding the reader that sometimes all it takes is a little kindness and patience to discover the problem at hand. 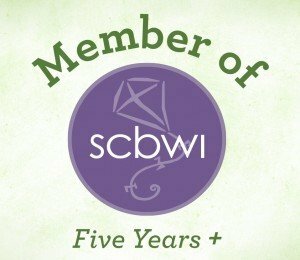 Listening to Poe’s perspective made all the difference. I highly recommend POE WON’T GO for preschool and elementary teachers everywhere and any parent eager to jumpstart a discussion about how easy it is to make and be a friend. Click here for a review of another Kelly DiPucchio book. 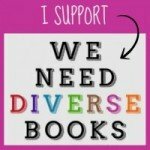 Click here for a review of another Zachariah OHora book. Can Somebody Please Scratch My Back? 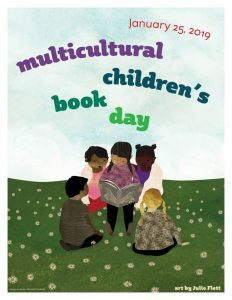 by Jory John is a great rainy day read aloud for energized kids swinging rain boots and in need of a good giggle while they’re more than likely required to sit, sit, sit in the classroom. 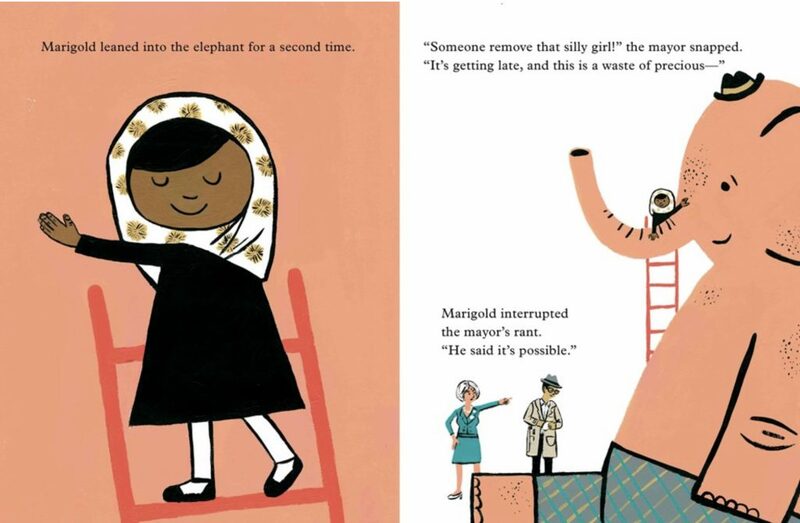 In this story we meet a delightfully frustrated and itchy Elephant desperate for a good back scratch. We all know how good that feels! Elephant groans every time a new friend tries to help. 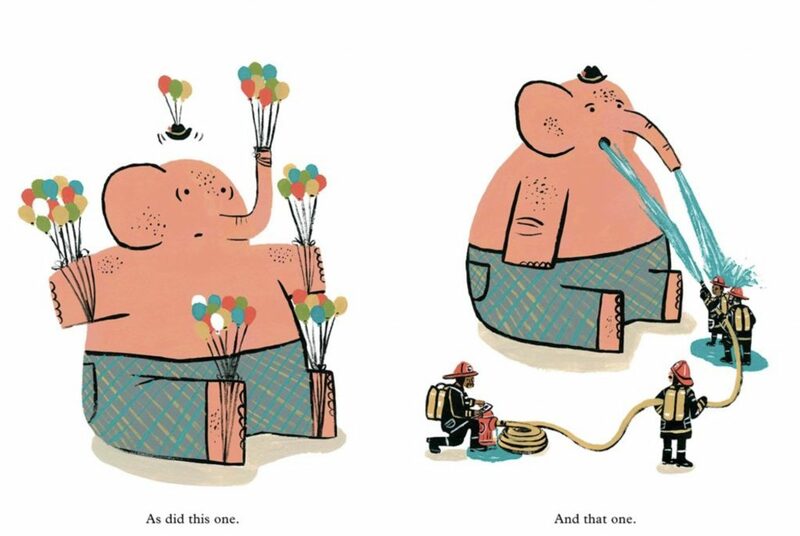 But the bumps, tickles, fangs and other animals’ offerings are far from what our poor pachyderm protagonist needs. When he’s reached his limit and sits down to sob over his situation, a friendly hedgehog comes by. Hedgehog would love to help, and his body is the perfect level of pokey-ness for the task at hand. Elephant lifts Hedgehog by the trunk and uses him as a back scratcher, gaining immediate relief. So much relief, in fact, that he sighs in utter euphoria and absentmindedly flings Hedgehog away by the trunk. And now poor Hedgehog is stuck—belly up—in the ground by the very pokey part of his body that previously helped the Elephant. Not only is he stuck, but his belly starts to itch. Won’t anyone help him out? In the bright of day, Sloth notices Hedgehog’s dilemma and offers to help. 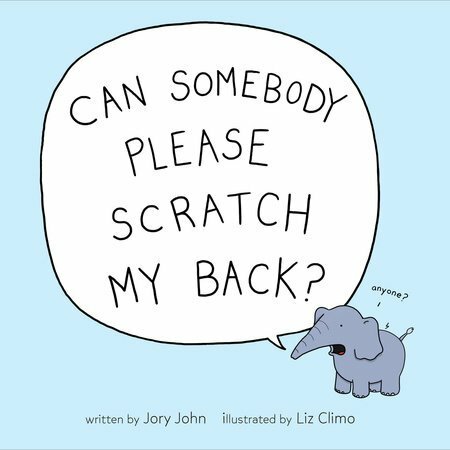 Climo’s cartoon illustrations and bubbled read-aloud thoughts of each animal attempting to help the itchy Elephant are silly, fun and perfect for the intended audience. What a great LOL combination! Read Can Somebody Please Scratch My Back? to find out if Sloth can make it in time to deliver Hedgehog from his agony. Read a review of Jory John’s Bad Seed.